Shalom and welcome to Congregation Beth Yeshua, one of the longest standing Messianic Jewish Synagogues world-wide! Since 1967, when Jerusalem came back into Jewish hands, tens of thousands of Jewish people have come into the kingdom of G-d. Many of these Messianic Jews did not want to assimilate in the Church and immediately began to form themselves into Messianic congregations to retain their Jewish heritage and to be a light to their Jewish people. Congregation Beth Yeshua was formed in November 1974 when many Jews came to the knowledge and acceptance of Yeshua, Jesus, as their Mashiach during the “Jesus Movement” in the late ’60’s – early ’70’s. 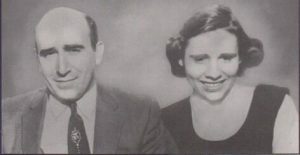 In July 1975 Martin Chernoff and his family moved to Philadelphia to shepherd the new congregation. The people of Beth Yeshua were “wandering Jews” meeting for worship at various places; at a community room in a bank, at a Jewish War Veterans meeting space, a nursery facility, the Marriott, the Holiday Inn and finally the Ramara Motor Inn; the members of Beth Yeshua truly had to learn to “rough it” prior to moving into their present facility in 1981. In 1985 Martin Chernoff went to be with the Lord and his son, David, who had been serving as the Assistant Messianic Rabbi, became Rabbi. To this day Beth Yeshua has continued growth and has even influenced the building of new Messianic congregations and synagogues throughout the U.S.; as far west as California, as far south as Florida and even to far north Canada. Beth Yeshua has even assisted with planting congregations overseas. The majority of the congregation is Jewish but we also have a growing ministry to believers of various cultural backgrounds that are drawn to the Jewish roots of a faith in Jesus as Lord and Messiah. David Chernoff now serves as Senior Messianic Rabbi and Director of Kesher Ministries International, an organization dedicated to outreach to the Jewish people as well as supporting Messianic synagogues in Israel, Eastern Europe and other parts of the world. Our doors are open to all and we hope to have you visit soon! Answers to questions about our Beliefs and Messianic Judaism can be found on our site or by contacting our office. Congregation Beth Yeshua is affiliated with the International Alliance of Messianic Congregations and Synagogues, a ministry of the Messianic Jewish Alliance of America.